Produced naturally in Paraguay, the cane is crushed and the sweet juices are collected, clarified to remove impurities, evaporated and crystallized. It’s really that simple. 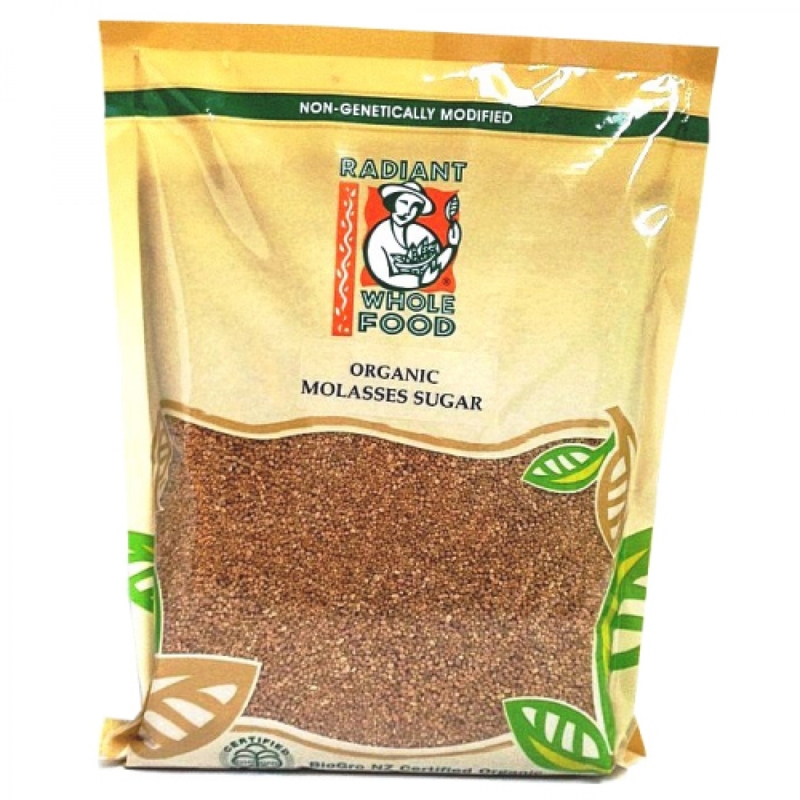 Radiant Organic Molasses Sugar is a soft, moist, decadent gourmet sugar. Rich in the cane’s inherent molasses, it is gloriously deep in colour with a sticky texture. It has a rich aroma and great depth of indulgent fudge-like flavour. Rich in calcium, phosphorus, potassium, magnesium, iron & vitamins A & C.
Ideal sugar replacement. Suitable for diabetic diet. Use as a sweetener in beverages , soup & baking.